Hello everybody! 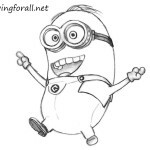 It is DrawingForAll with a new drawing tutorial. 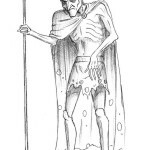 And today we are going to draw is not quite a usual character. We will draw Cheburashka. You can ask “Who is that?”. Cheburashka (in Sweden known as Drutten) – is a well-known soviet character created by Eduard Uspensky in 1965. 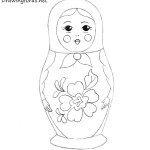 Cheburashka, as a Matryoshka, is one of the most famous Russian characters. 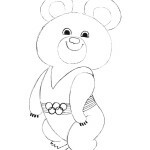 By the way, here’s how the creator explains the strange appearance of the character – when he was a kid, he was given a defective soft toy, a cross between a rabbit and a bear with round ears. Parents told the kid that it is an unknown animal that lives among palm trees in tropical forests. Cheburashka – is a creature that looks like a little bear with a disproportionately large ears. Looks weird and creepy? Yes, we know. And today we are going to draw that strange thing. So let’s start the tutorial on how to draw Cheburashka! At first, we draw a circle. On either side of the circle we draw another two circles (ears can be round or oval, it is not fundamentally). Now draw the body and limbs. The torso we draw in form of a small cylinder. Hands we draw in form of sausages made from plasticine and legs in form of the little hummocks. We want to note that the body should be substantially less than the head. In this step we mark up face. So, first draw a vertical line of facial symmetry – it divides the head of our animal into two equal parts. Then, just below the center of the head draw flattened circle. 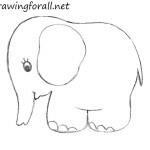 Then draw two transverse, ie horizontal lines – they will help us to draw an eyes and nose. between the lower line of the eyes and lower part of the circle we outline the mouth. Using the guidelines from the previous step we draw the eyes, eyebrows, nose and mouth. Eyes and pupils we draw in form of circles. Eyes and pupils we draw in form of the circles. 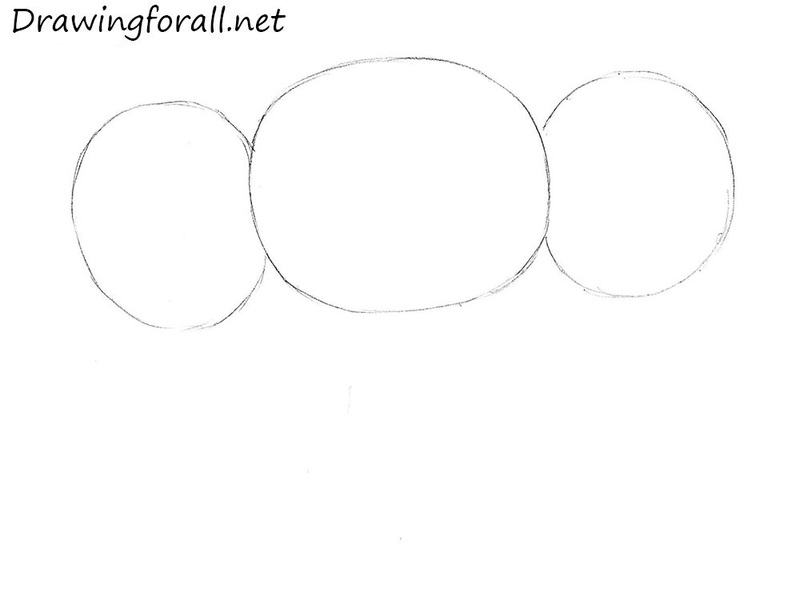 Eyebrows and mouth draw in form of the ovals. And mouth in form of the triangle. 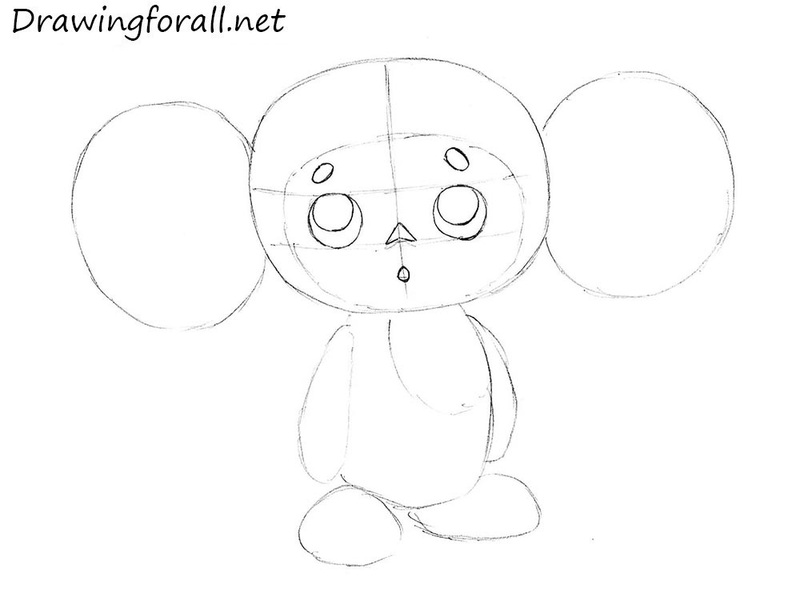 And we continue to draw Cheburashka. Erase all the guidelines from the haed. By using the serrated contour the hair texture of the head and ears. Paint the eyes leaving a small highlights. Don’t forget to draw the inside part of the ears. By the same principle as in the previous step, draw the contours of the body of our toy. 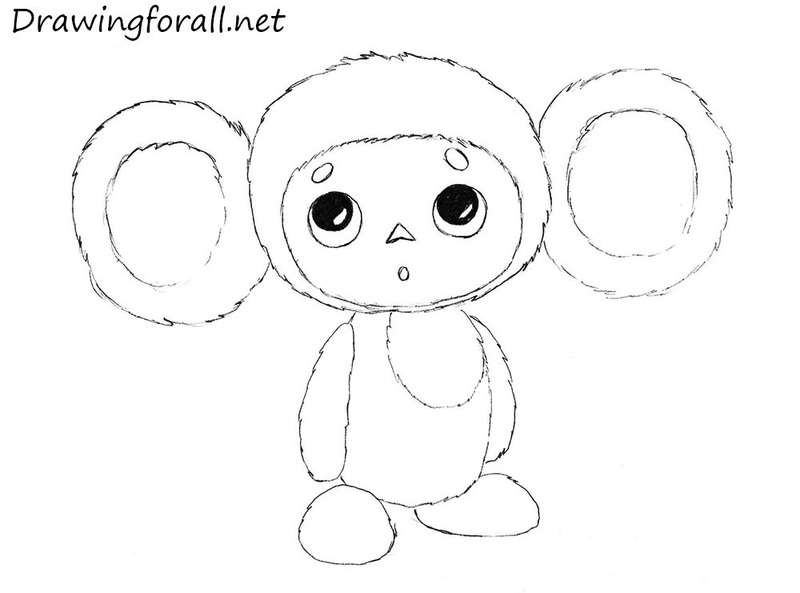 And drawing of Cheburashka is ready. 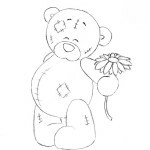 So we finished drawing Cheburashka (or Drutten, if you live in Sweden). We hope you enjoyed this tutorial. But if you want to draw more brutal character from the last century, we recommend you a lesson on how to draw Wolverine. subscribe to us in social networks and wait for new drawing tutorials.